Whether it is after a workout or a weekend at a festival, we all encounter times when our joints just scream 'No more, please!'. This soothing Sore Muscle Rub from Badger Balm is for just those times. Formulated with Cayenne Pepper, a natural anti-inflammatory which blocks pain without negative side effects. Ginger, cardamom, rosemary and lemongrass essential oils soothe the muscles and joints. Used before physical activity, Badger Balm Sore Muscle Rub helps to keep muscles and joints warm and loose, as well as being great for the skin. The Badger Balm Sore Muscle Rub 21g product ethics are indicated below. To learn more about these product ethics and to see related products, follow the links below. My husband gets through pots of this after his cycling trips - I think the technical name is Sportives. Not so much groaning about his aching joints...not that he is getting old or anything!! Bought for partner who suffers from a lot of aches! 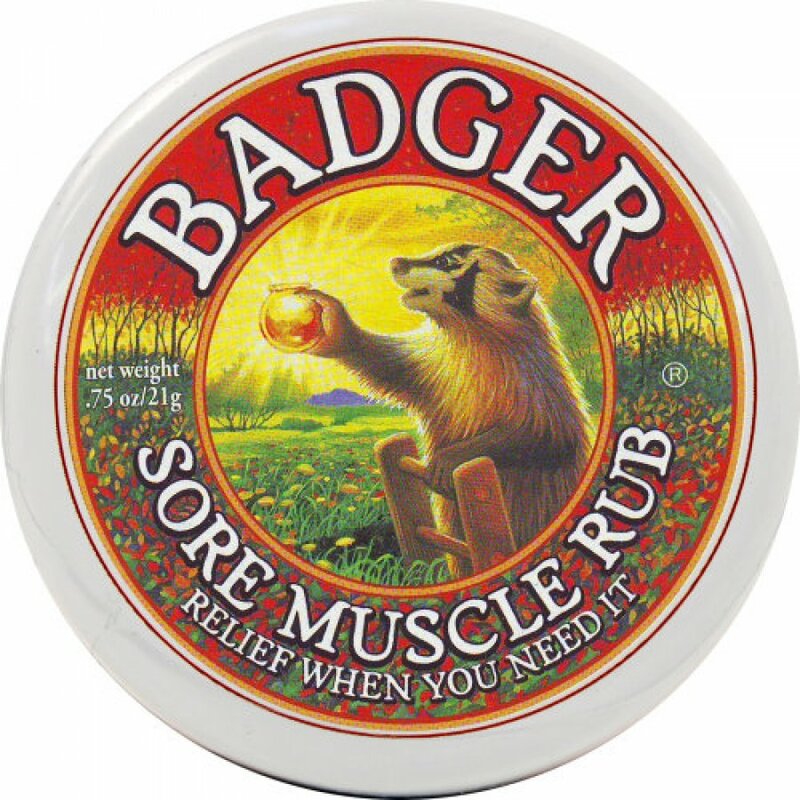 There are currently no questions to display about Badger Balm Sore Muscle Rub 21g.